The former Verve star has revealed the details of his fourth solo album, These People. 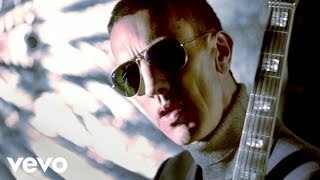 Richard Ashcroft is back with a brand new track, This Is How It Feels , which features as our Record Of The Week. The former Verve frontman has revealed his new material, ahead of the release of his fourth album These People. This Is How It Feels is set for release on 20 May, or is available instantly when you pre-order the album now from Richard Ashcroft's official website, iTunes or Amazon. Ashcroft has also announced two live dates in the week of the album's release: he will play the Albert Hall, Manchester on 14 May and London's Roundhouse on 16 May. Tickets go on sale Friday 26 February from the usual outlets. Meanwhile, Radio X's Vernon Kay had an interview with the man himself, in which he revealed he won't be giving us the "hard sell" when it comes to his new music. He said: "If you don't feel it, that's fine. That's cool. I'm not going to give you the hard sell. You won't see me desperately trying to twist your arm. "I know how good I am!" The Song For The Lovers star also revealed we can expect an "uplifting" and "moving" sound and even teased there may be another "few albums" in the works.